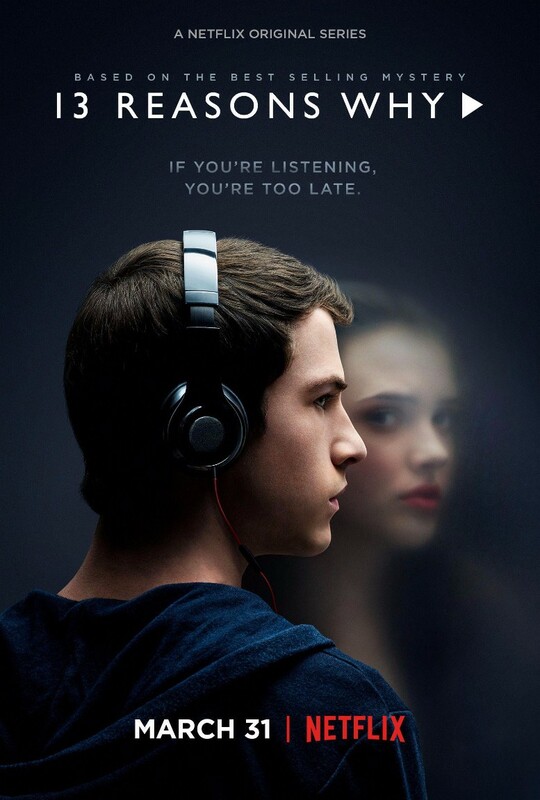 13 Reasons Why is an American television series based on the 2007 novel Thirteen Reasons Why by Jay Asher and adapted by Brian Yorkey for Netflix. The show revolves around a student who kills herself after a series of culminating failures, brought on by select individuals within their school. The font used for the film title in the poster is Gill Sans Roman. The famous humanist sans serif font was designed in 1926 by the English artist and type designer Eric Gill, who takes inspiration from Edward Johnston’s 1916 “Underground Alphabet”, most often simply called the “Johnston” typeface. In addition to 13 Reasons Why, Gill Sans typeface is also used in the following logos, movie posters or album covers etc., including: Ferris Bueller’s Day Off, Land Rover, Tag Heuer, Harry’s Law, Bruce Almighty (film), Mr. Popper’s Penguins, Save the Children, Christmas with the Kranks, Frequency, ARM, Shallow Hal, Gravity Rush (Video Game), Happy-Go-Lucky, When in Rome, United Express.